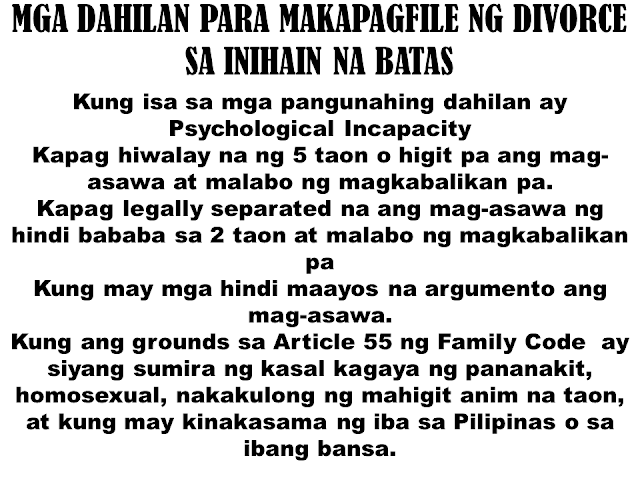 THOUGHTSKOTO Thoughtskoto : "DIVORCE BILL" HB 2380: WILL THERE BE A DIVORCE LAW IN THE PHILIPPINES SOON? "DIVORCE BILL" HB 2380: WILL THERE BE A DIVORCE LAW IN THE PHILIPPINES SOON? The Divorce Bill has been filed again in the Congress after failing to have it deliberated in the previous four Congress years. The Philippines is the only country in the world without a Divorce Law aside from the Vatican. The difficult process of legal separation and tremendous amount of money to be incurred to find divorce attorney or family attorney has been frustrating to many others. And so for the 5th time, the Divorce Bill has been filed at the Congress in a hope that this will turn into law. Gabriela Women's Party Representative Emmi de Jesus and Arlene Brosas filed the landmark bill. 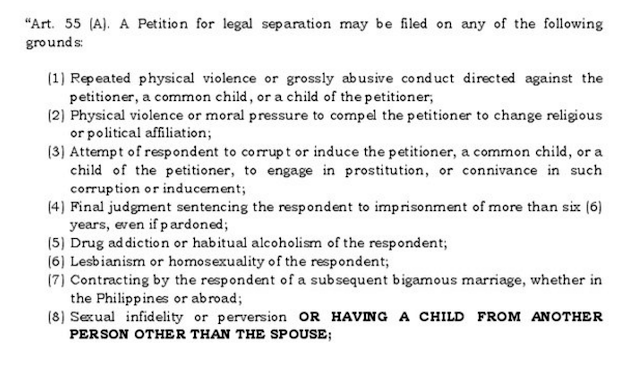 Also the following grounds of the Article 55 of the Family Code will also be the basis of the divorce. 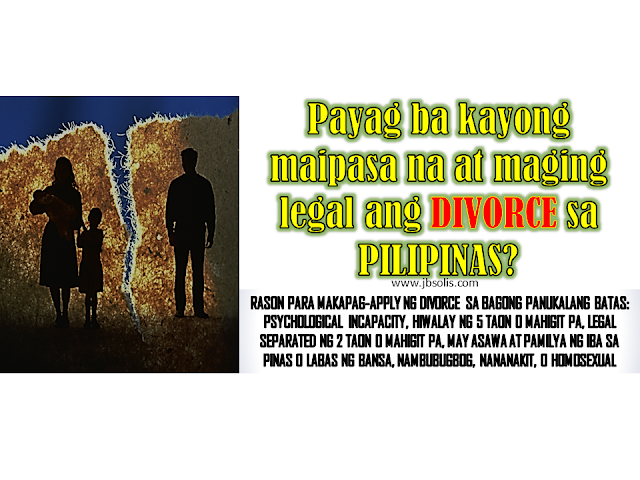 SPOUSAL SUPPORT ATTORNEY OR FAMILY DIVORCE ATTORNEY OR LEGAL SEPARATION ATTORNEY AT THE VISAYAS REGION. 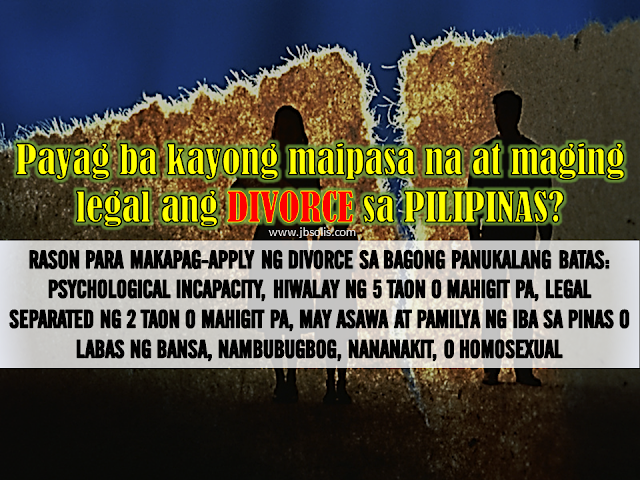 What Are The Reasons To File Annulment and LEGAL SEPARATION and What are the Process in the Philippines? I just hope the it will not be too much expensive to find a divorce attorney, or a family and divorce lawyers, but let us see if this will pass and turn into law first. 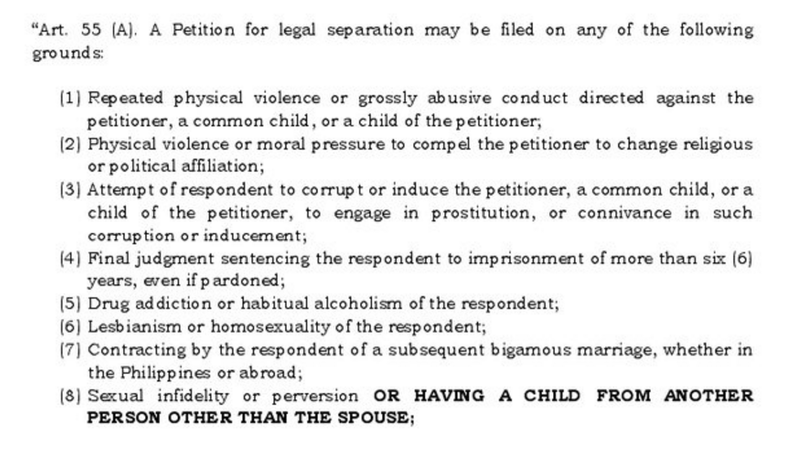 Read the rest of the House Bill 2380 or "Divorce Bill"
Do You Know? 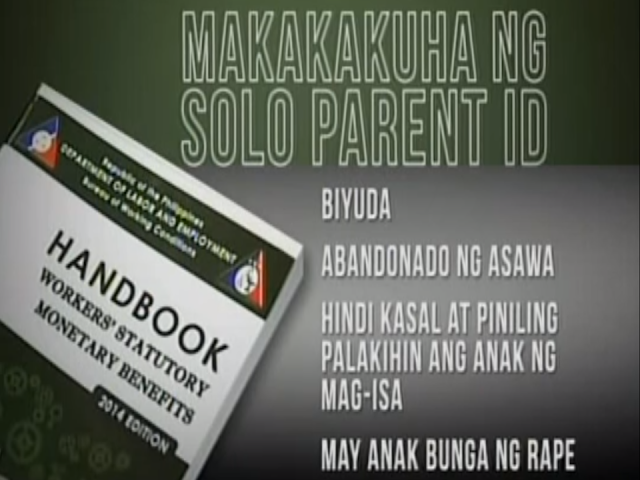 Benefits of Solo Parent's Welfare Act and Parental Leave?